SouthWing is not well known to an ultimate consumer yet but the situation may change greatly soon. 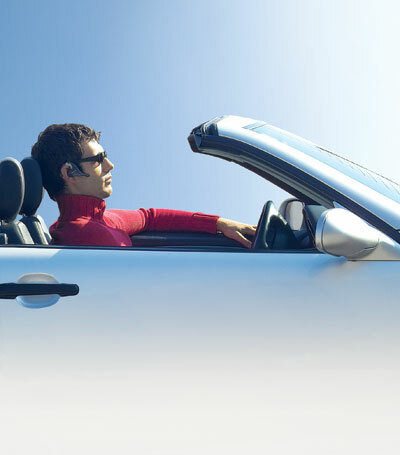 Just remember a situation with Jabra several years ago, this manufacturer was not known but got popular thanks to a single product that differed in quality, low price and maximum componentry. 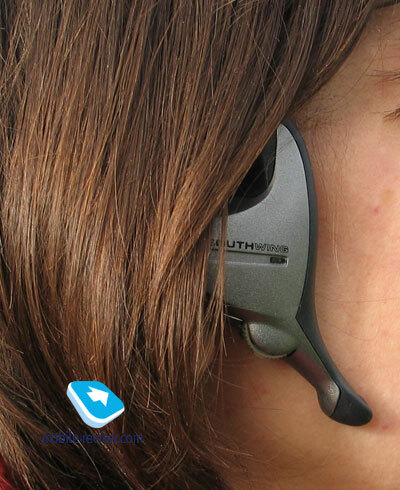 And the situation with NeoVoice headset by SouthWing is similar. 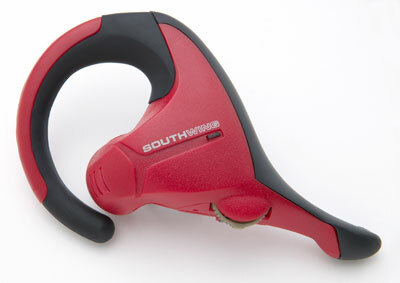 The headset is the cheapest with the maximum number of functions. NeoVoice is produced in two versions, they are a customary and USB one. There is a miniUSB connector for the second one, you may also buy a charging cable for a usual USB connector of a PC. The prices of these two versions differ slightly and that's why it's worth buying the USB model. 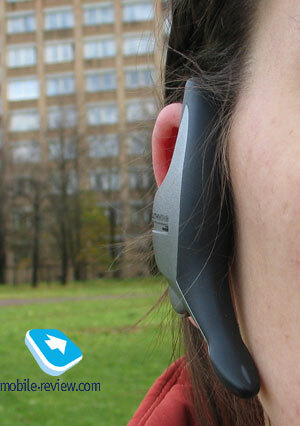 The headset is designed as a separate mono block with a though construction and is possible to wear only on the right side. A holder is of a flexible rubber that makes it easy to place the headset and makes no discomfort when using the headset for a long time. It is held up firmly and is comfortable to wear from the first minutes. I couldn't suppose that's true having seen it for the first time. A user may choose one of four body colours. There are yellow, red, black and silvery ones. Bright colours will really be up to youth. The weight is 24 grams with a built in battery and the fact it's integrated doesn't seem a disadvantage, the majority of products do have similar construction. 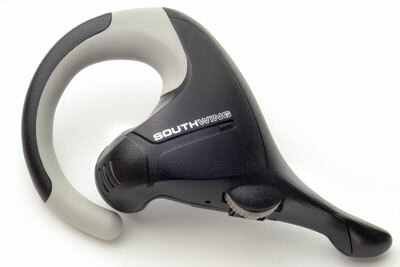 There are not so many control elements on the headset, only a wheel that may be moved into two directions and pressed on. Comparing the device with others one may think that this easy control means poor functionality. That is not true at all, the headset provides all the possible functions for today. The wheel is responsible for them, thus different number of pressures and their duration may call this or that function both in the standby mode and in the talk one. That seems hard to remember all these wisdoms but after a day of use all the combinations stick in memory and you need the manual no more. The fact the headset may be fixed only on one ear plays great role here. 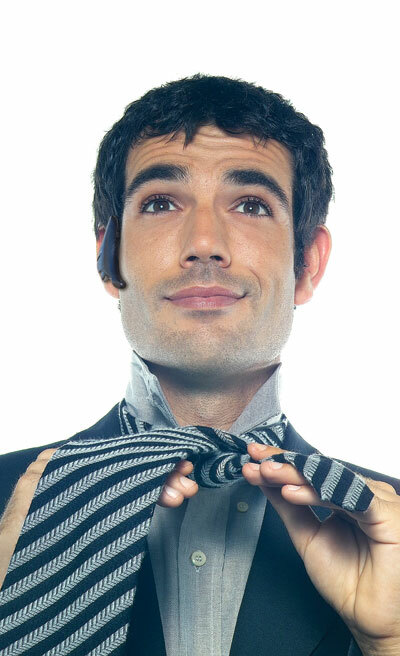 The headset may be assigned a personal call signal to. Then a loudspeaker will reproduce it during a call. There are 12 plain melodies preset. The device allows dialing the last number from the memory, use voice dialing. Headset and Handsfree profiles are supported. The working distance is satisfying and is about 5 meters in the room (similar to SE65 headset). 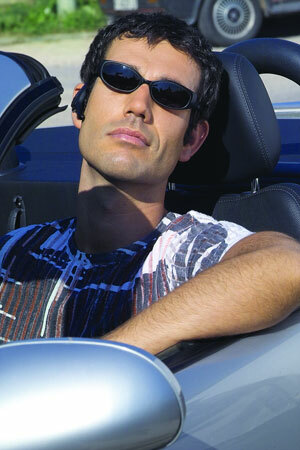 The noises are almost absent during a conversation and appear only if the phone is distanced the most. 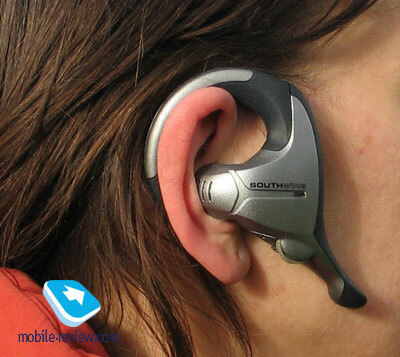 The manufacturer declaims the headset is capable of working for about 6 hours in the talk mode. We used the device for an hour a day and it worked for 3-3.5 days. 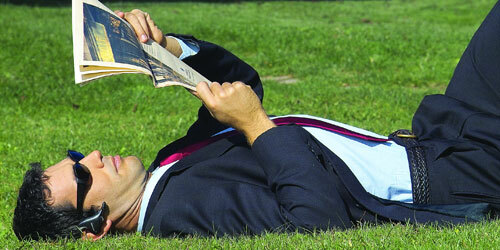 An interesting fact is that afer 4 hours without working the headset turns off, that is an energy saving mode. With less talk time the headset will probably work for about 4-5 days. 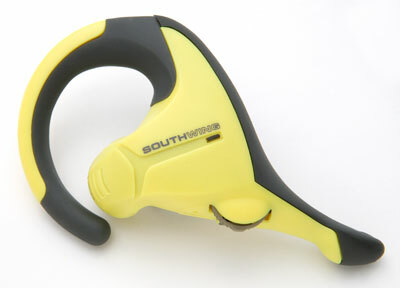 The main advantages of the device are a stable work, good ergonomics, minimum of control buttons. A cable for a cigarette light up combined with a USB charger is available as an accessory. It costs about 10-12 USD and the headset has the price of about 60 USD that is typical for this class. To my mind the headset belongs to the same category with Jabra BT200/BT250 and has similar quality. I'd like to remind that Jabra's headsets belong to the best in the price/quality correlation and thus the product by SouthWing seems good. 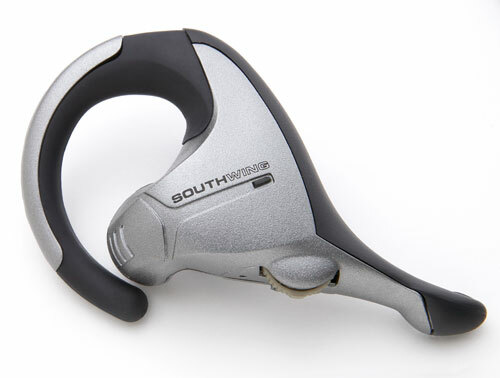 In my opinion, with a right price politics and expansion of the product line SouthWing may become a serious gameplayer in the Bluetooth-accessories market. I'll note the device is distinguished by the quality of the package, manual, detailed description of functions. The headset is really worth attention.